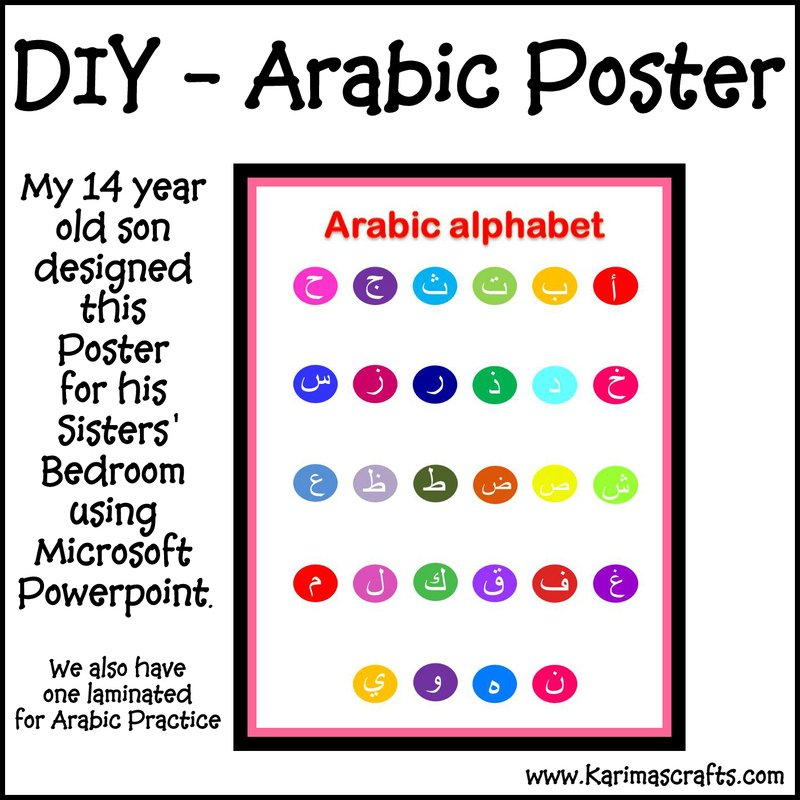 Arabic Posters are really useful when you are trying to teach your youngsters Arabic. I had my son design this poster as he is good using Powerpoint and it kept him out of mischief for a while! 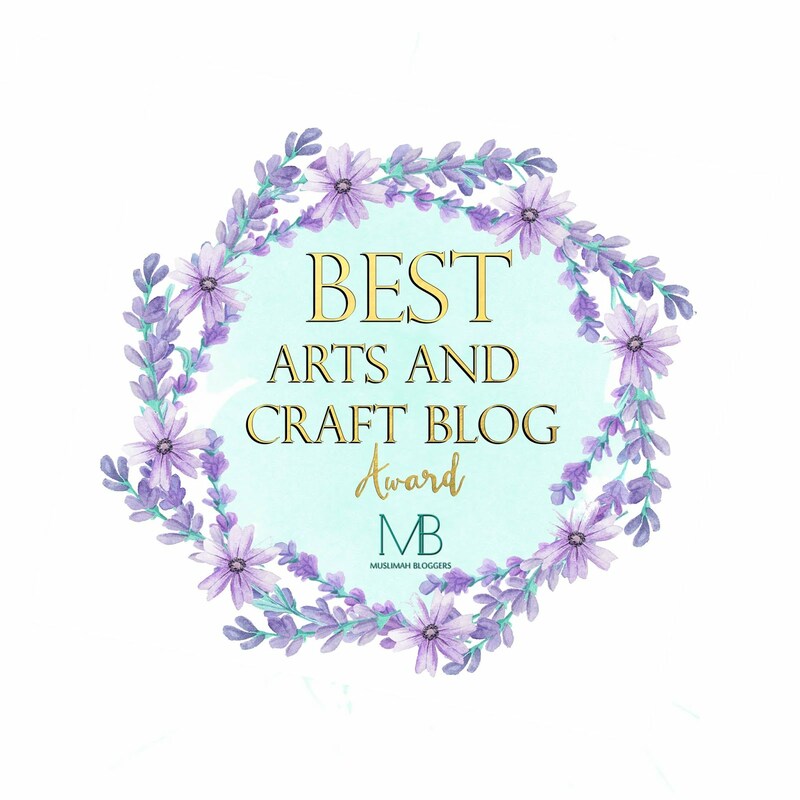 Last week 2 posts where about things that my daughter had made, so I thought this week I would feature my son's work! I have this poster on their bedroom wall and it really helped them remember to practice their alphabet. I also had some printed for them to use individually when they first started. These really did help, now I just have to get them to learn words not just the alphabet! 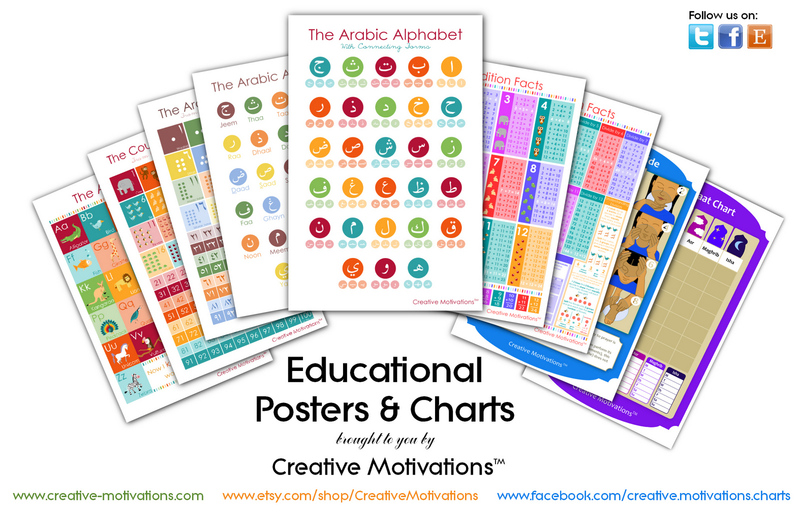 I have since found similar posters with more detail to them for children to use when learning Arabic from a great family business: Creative.Motivations They also have plenty other Islamic related posters and charts and their prices are really reasonable! So if you really like the idea of these kind of posters but are unable to design them yourself it is well worth having a look at this ladies work. Below is a photograph of some of her work! I am glad you find it useful! I know the lady who runs this business and she is a very friendly lady!